Manchester United will make three big signings in the January transfer window but could let striker Wayne Rooney leave, according to former Chelsea and Newcastle boss Ruud Gullit. Speaking to the Express, Gullit claimed United would learn from their mistakes over the summer by strengthening their squad this winter. The Premier League champions endured a miserable time of things in the last window, with midfielder Marouane Fellaini the only senior arrival at the club under new manager David Moyes. “I can fully understand that Moyes has now asked the board to sanction the purchase of three top-class footballers in the winter to keep the team competing at the highest level in England and Europe. United’s inactivity over the summer is reflected by their current standing of ninth in the league table having made their worst start to a domestic season since 1989. And Gullit believes the Red Devils could be set for more upheaval – despite the alleged arrivals of three new stars – by finally allowing striker Rooney to leave. The England forward was the subject of intense speculation linking him with a move to Chelsea over the summer, with the Blues making two failed bids for the former Everton man. “When they [United] do buy those three stars, it will be easier to let Wayne Rooney follow his heart if he wants to leave,” Gullit continued. The 51-year-old Netherlands manager, who has been out of work since being sacked from his last post at Russian side Terek Grozny in 2011, also believes United’s poor start to the season can be partly explained by the retirement of Sir Alex Ferguson. “They kept basically the same team and squad in the summer, which is why they are inconsistent in the Premier League. 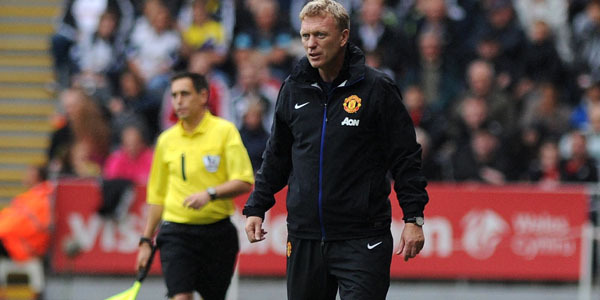 “The club is also struggling to get going without Sir Alex Ferguson. They are missing his presence and his personality. The post Man Utd Transfer News: 3 New January Signings Will Replace Wayne Rooney, Says Ruud Gullit appeared first on WhatCulture!.